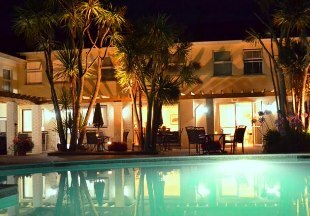 Just 5 minutes drive from the airport and 10 minutes from St Helier, the 17th century Hotel La Place near St Aubin boasts an outdoor pool, peaceful en-suite rooms, an award-winning restaurant and a bar serving cocktails and snacks. 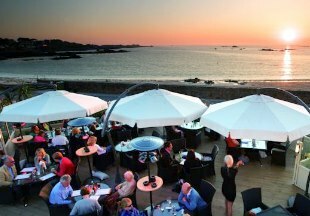 Situated 3 miles from St Peter Port and enjoying a breathtaking beachfront location, the Cobo Bay’s stylish restaurant and al fresco Beach Terrace have both been awarded 2 AA Rosettes for food and the hotel also boasts a health suite with hot tub and gym. Just one mile from the town centre, beach, Opera House and waterfront, the Inn Boutique has recently been awarded a Gold Accolade by Visit Britain for the third year running. Value for money is very important to us so drinks are priced similarly to other popular town establishments - so no surprises when ordering a pint of our guest real ale, vodka or glass of New World Wine! The Inn’s restaurant and bar offer home-made food made with local produce. 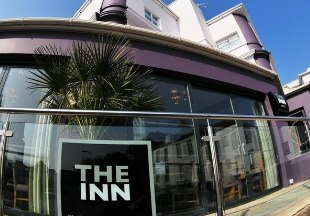 The Inn - Great Rooms, Great Food, Great Service, Great Value and a fun place to stay. The Revere Hotel is perfectly located only a few minutes walk from the esplanade and beach in St Helier. A 17th century former coach house, this lovely hotel boasts 56 en-suite rooms, two restaurants, a bar with open log fires in winter and an outdoor swimming pool in summer. 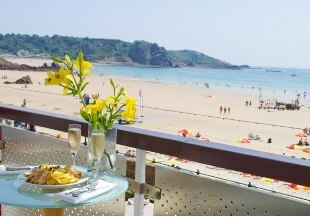 Overlooking beautiful St Brelade's Bay, L'Horizon Hotel and Spa is just 5 minutes drive from Jersey Airport. This luxury hotel, built in 1850, boasts two award-winning restaurants, the Grill with its seafood menu and the Crystal Room serving traditional dishes. Or if they prefer, guests can choose to dine at the informal brasserie or al fresco on the beachfront terrace. The spa features two treatment rooms, sauna and steam room, small gym and a hot tub with sea views. 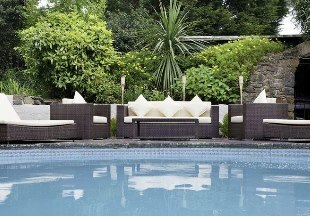 A lovely 12th century manor house peacefully set in its own gardens, the Bella Luce Hotel is just a short stroll from the pretty south coast of Guernsey. 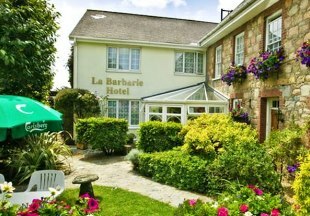 The hotel offers boutique en-suite rooms, outdoor pool, an award winning restaurant and a cosy bar with large fireplace. Free WiFi, 24-hour room service. 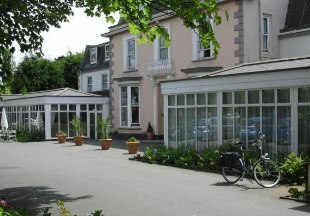 Just 1.5 miles from the airport and 3 miles from St Peter Port, La Trelade is set in pretty gardens and boasts an indoor swimming pool, sauna, steam room and an excellent restaurant serving fresh local food including seafood. Free parking and WiFi. 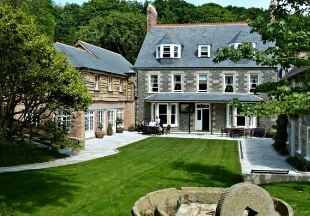 This 16th century luxury hotel is located on the peaceful car-free island of Sark, offering individually decorated en-suite rooms with free WiFi. Guests can enjoy acres of landscaped grounds, a heated swimming pool, hot tub and small gym. The elegant main restaurant offers fine dining using locally sourced produce or guests can choose to dine at the Poolside Bistro, whilst the Smugglers Bar with its oak beams serves a wide range of drinks. Explore the island on foot or bicycle rental is available nearby. Welcome to the Channel Islands and our selection of some of the best hotels and inns on Jersey, Guernsey, Alderney, Sark and Herm. 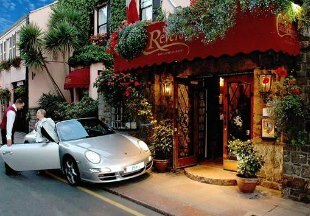 Jersey is the largest island, famous for its beautiful countryside and historic attractions; Guernsey is famous for its green lanes and flowers; Sark is a unique, traffic-free island and Herm boasts some of the best beaches in Britain. Stay at one of the following Channel Islands hotels and inns and discover these beautful islands for yourself.